Rossmann eye makeup remover - (Rossmann is the 2nd largest drugstore chain in Germany, they have retail shops across Europe, but not in the UK) Two-layered liquid that needs to shake them up before use. 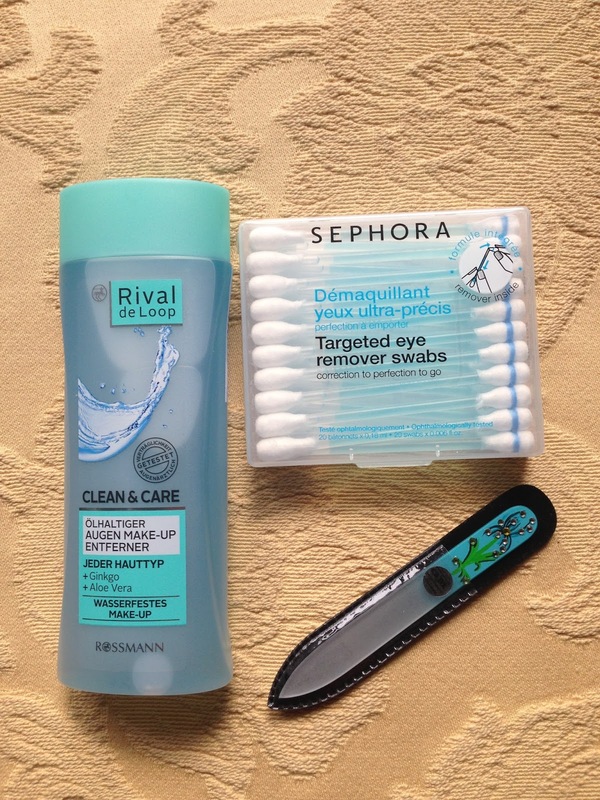 Sephora Targeted eye makeup remover swabs - inside each of the cotton swab it contains the makeup remover liquid, you break the one end, and the liquid will flow & soak the other end, you can correct your eye makeup in precision. However, these useful little Q-tips can't be found in the UK easily. A very pretty gems decorated glass nail filer. Next are few bits from the drugstore in Prague. Maybelline Whisper Lipcolour 160 Rose of Attraction - Hype around whisper range in America, but still not available in the UK, so I am very excited to get my hands on one and try it out! Dermacol Lip Balm in 05 Amor - Dermacol is a popular local brand in Czech. It has started in Prague back in the early 1960, and it is still going strong. This lip balm is so cute because the whole balm is carved out in an heart shape. So pretty that I am reluctant to use it! 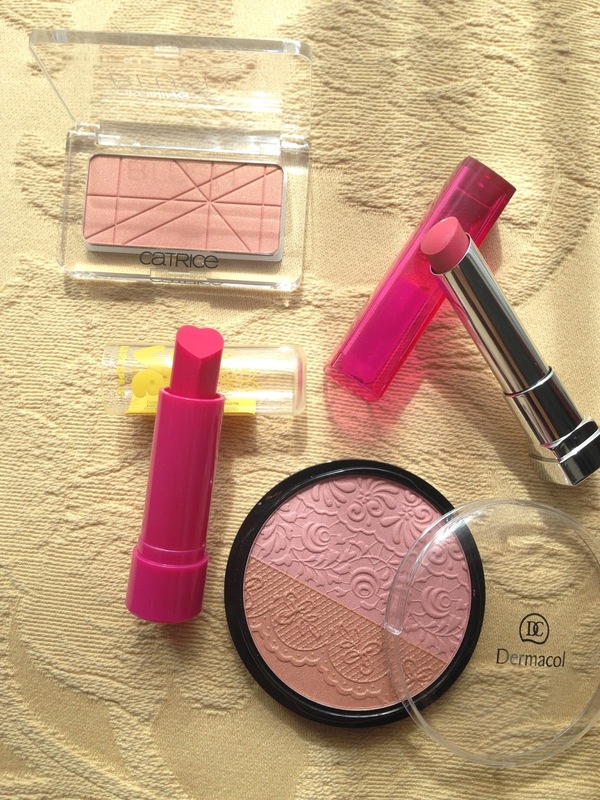 Dermacol Duo Blusher 01 - This blush/brozner duo, the blusher side is matte, and the bronzer side has shimmer in it. When swirl the two colours together, it gives the cheeks a healthy glow. The embossed lace pattern is so pretty & delicate! 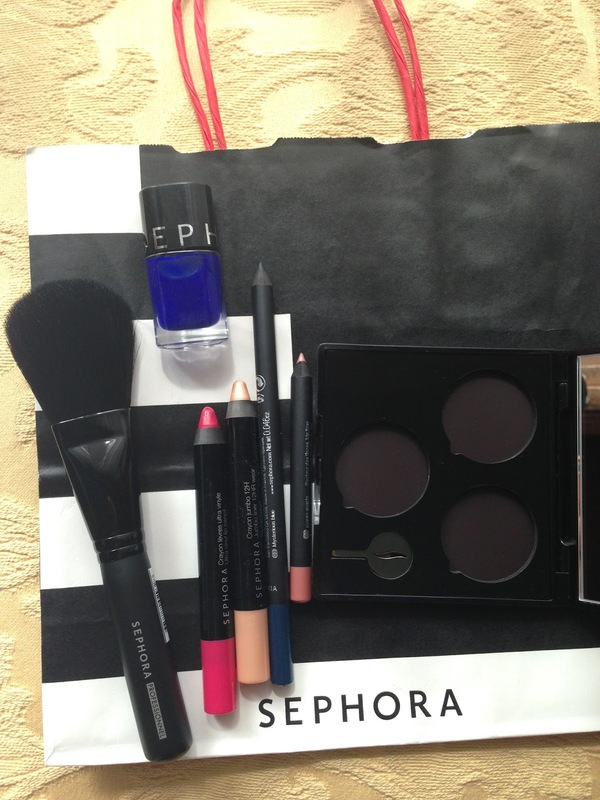 Next up is Sephora! Cynthy bought me a lot!! Everything is from Sephora Collection. Customisable eye shadow palette - free gift with purchase! Lip Crayon in 06 Strawberry Delish - good colour pay off, very moisturise on the lips, but it's not a stain so it will need re-applying. Jumbo Liner 12HR wear in 05 Beige - light beige shimmer, it can be used as a liner or blended out as shadow. I would be using it as a all over the lid colour or as an accent for inner corner. It is definitely long wearing. I swatched it at the back of my hand, one swipe, and it stays on my hand after numerous washes. Long Lasting Kohl pencil in 03 Mysterious Blue - never have enough eye pencil. It feels quite creamy when I swatched it at the back of my hand. 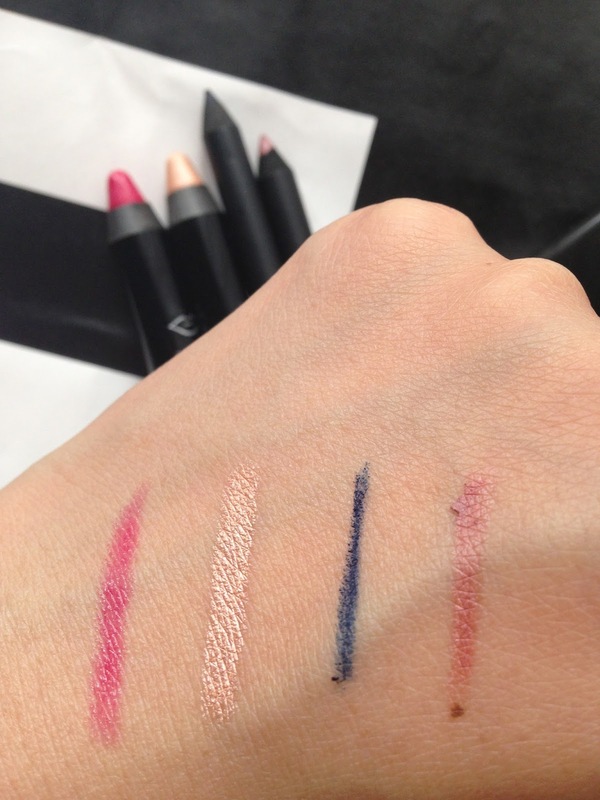 Nano Lip Liner in 03 Queen Quartz - Half the size of a normal lip pencil. Perfect for handbags. It is like Christmas and I can't wait to start using all these products! 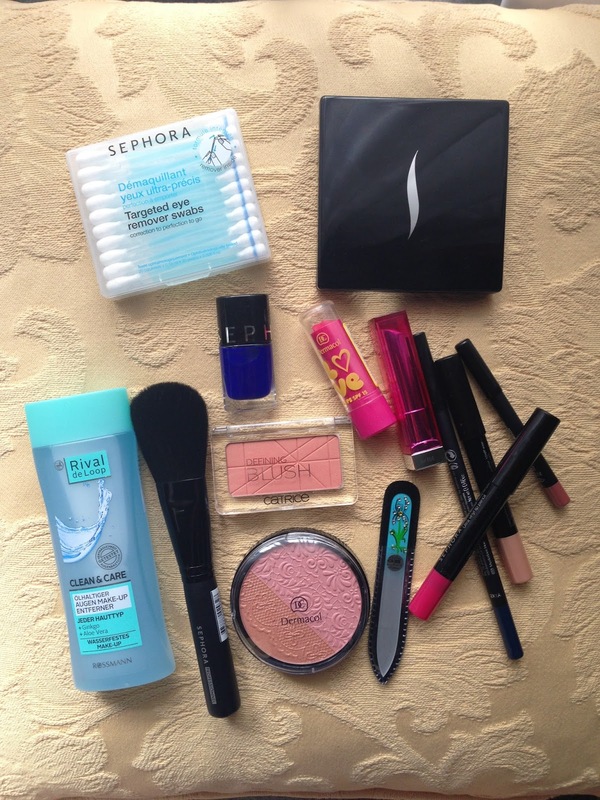 Don't forget to check my sister Cynthy's Sephora haul & drugstore haul (coming soon)! What makeup products you bought in your holiday abroad this year?